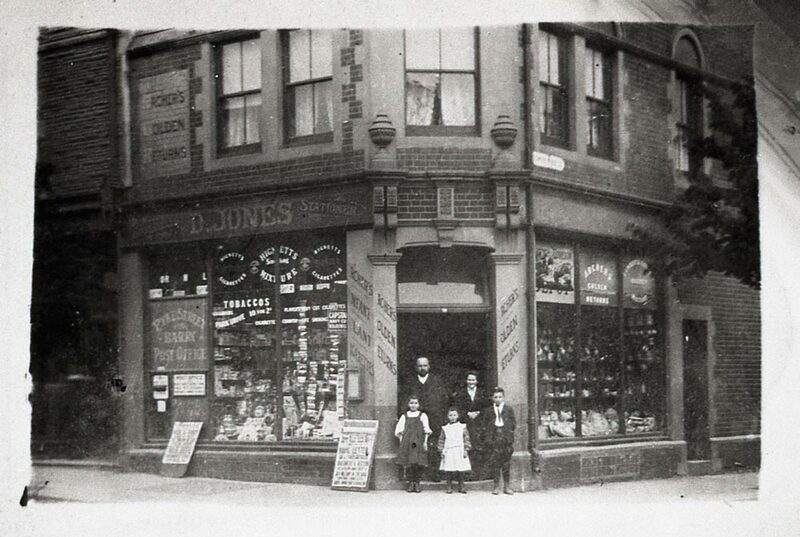 A black and white photograph of D. Jones, stationer, with his family outside his corner shop. Swimming Baths. Cold Knap Barry.